We offer free English lessons in and around Merton for people who are not able to get to formal college classes, because of cost, family situation or disability and who may become isolated at home. Learners can have lessons in their own homes or in small, informal classes. 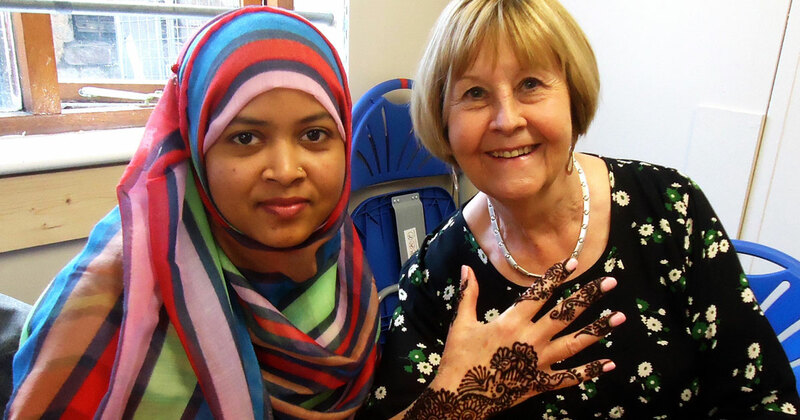 Our friendly volunteer tutors help learners with everyday English to give them confidence and enable them to help themselves and their families understand and participate in local and national life in the UK. Learning English is the key. Merton Home Tutoring Service is for adults who want to learn English and volunteer tutors who want to teach it.